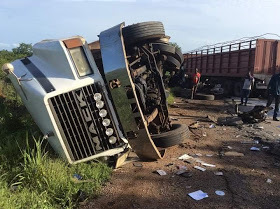 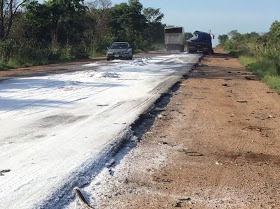 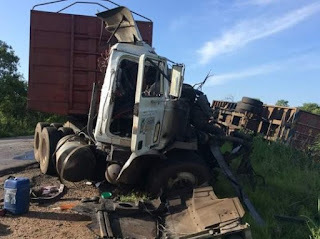 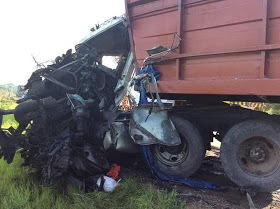 The Federal Road Safety Corps shared these photos of a serious accident involving multiple trucks, along Lokoja-Okene road. 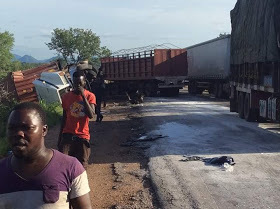 They however did not provide more details on what caused the accident and whether the drivers of the damaged trucks escaped unhurt. 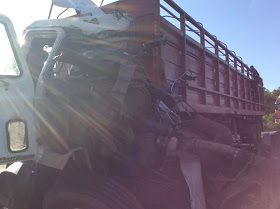 More pics from the scene after the cut.